I know there are many options around, however to pick the right one is not an easy task. Any advice or suggestion would be greatly appreciated. Thank you. A Guide To LaTeX, 4ed. Digital Typography Using LaTeX. Springer. The LaTeX Graphics Companion, 2ed. And more: Many documents of LaTeX packages (user-level). clsguide: LaTeX2e for class and package writers. source2e: Documented source code of LaTeX kernel. classes: Documented source code of LaTeX standard classes. etoolbox: a useful toolbox of eTeX. For modern packages it is really useful. keyval: Support for key-value interface. pgfkey or xkeyval or l3keys2e: More advanced key-value interface. expl3, interface3 and source3 (i.e. l3kernel bundle): Introduction of LaTeX3 syntax and documented (developing) LaTeX3 kernel. Some packages of l3packages bundle, especially xparse. Documents of pdfTeX, and maybe XeTeX and LuaTeX. To be continued... I'll add links for the documents. The document provided on this site lists the internal macros defined by the LaTeX2e base files which can also be useful to package authors. Not the answer you're looking for? Browse other questions tagged documentation big-list books or ask your own question. Where do I start LaTeX programming? Documentation reference for LaTeX internal commands? Authoring RPG books in LaTeX: what packages to use? 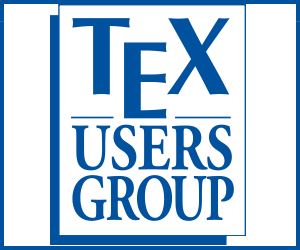 Which books can I read via texdoc? What non-free books are available and recommended? Are there good books retracing the history of (La)TeX? Is there any good books/documents that describe LaTeX usage in Computer Science?